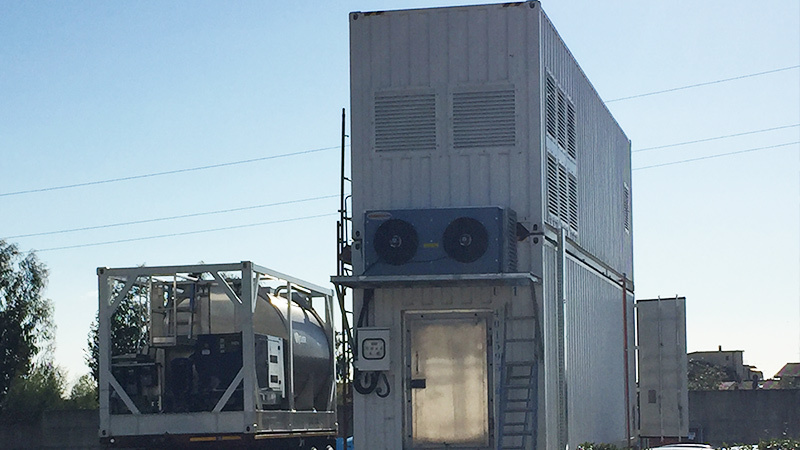 Recom was commissioned to supply a 15T containerized ice plant in Italy for the more recent development in the applications of Ice Pigging. 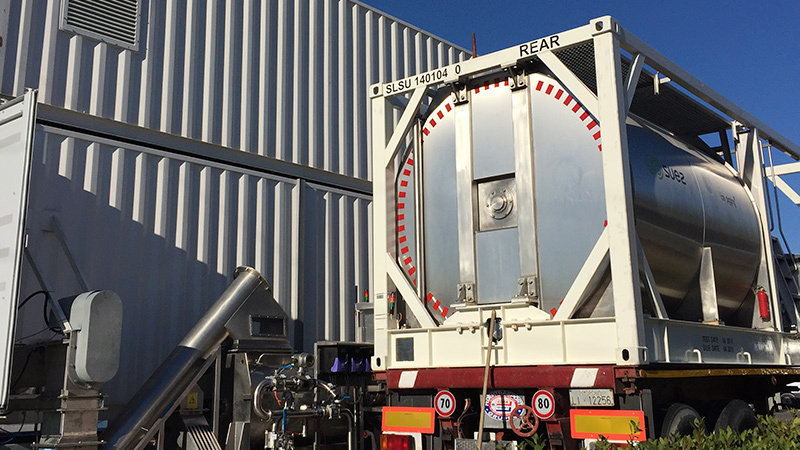 Together with SUEZ Advanced Solutions UK ,the exclusive developer of this technology, Recom provides a great and sustainable solution for the maintenance and cleaning of tanks, water supply pipes, sewerage and irrigation cleanings with recognized results all over Europe. Ice Pigging is a highly effective and low risk pipe line cleaning technology. Just in the Netherlands there is about 117.000 kilometers of drinking water pipelines, which have to be cleaned from time to time. With ice pigging a combination of water and flake ice is pumped into the pipe and forced along inside in order to remove sediments and unwanted deposits. It combines the benefits of the two traditional methods, flushing with water and forcing a solid object trough the pipe, without any of the drawbacks. 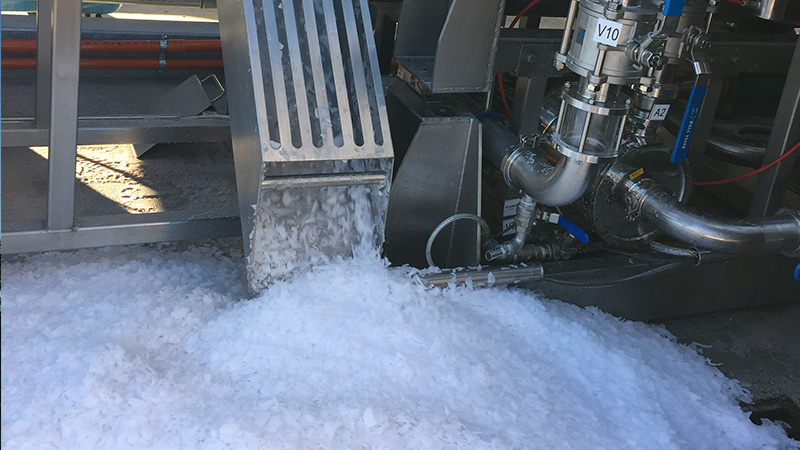 Recom’s ice machines are perfectly capable of producing the right type of ice for this technique and together with the customer, we engineer the perfect solution for every situation.